SA's copyright laws were drafted as far back as 1978. The Copyright Amendment Bill, which seeks to put South African copyright laws on par with technological advancements, was long overdue. This is according to legal experts, as this week Parliament's Portfolio Committee on Trade and Industry is holding three days of hearings on the Copyright Amendment Bill (B13-2017). Stephen Hollis, partner at Adams & Adams, and Emma Smith, a candidate attorney at law firm Michalsons, say SA's copyright laws need to be updated because they were drafted as far back as 1978. Among other issues, the purpose of the proposed amendments to the Act is to protect the economic interests of authors and creators of work against infringement by promoting the progress of science and useful creative activities. 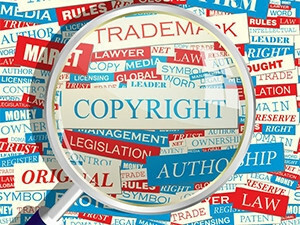 The Bill aims to make copyright consistent with the digital era, developments at a multilateral level, international standards and introduce improved exceptions and limitations into copyright law. Yesterday, Hollis presented at Parliament as part of the delegation from the SA Institute of Intellectual Property Law. He says SA's 1978 Copyright Act is in need of updating, especially considering the drastic technological changes and advances that have occurred since 1978. Smith concurs, saying: "The Copyright Act of 1978 does need updating and the Bill proposes to do that but we need to wait and see after the presentations to the portfolio committee whether it adequately meets the challenges posed by technology." She points out that SA faces the same global challenges of adapting to new technologies, piracy and fair use or fair dealing, thus the need to update copyright laws. According to Hollis, the 1978 Act is a rather sophisticated piece of legislation which has succeeded in regulating copyright law rather effectively in SA's industries for about 40 years now. "We have not seen a lot of litigation in matters where copyright is concerned in SA during this time and this serves as an indication that our law, although in need of updating, is a good piece of legislation." However, he says the technological changes that have occurred and the challenges to law makers that the digital revolution has brought include dealing with new manners in which copyright-protected works can be accessed, copied, distributed, etc. In the international tech industry, Hollis explains, Google has been campaigning for years now, on a global scale, for law makers to consider adopting a similar approach as in the US where they apply a broad and open ended 'fair use' doctrine which allows for user access to copyright-protected materials without the need to pay licence fees or obtain authorisation from the copyright owners concerned as that could, in their view, stifle innovation. New manners in which data is processed and accessed - including data mining techniques, Internet search operations, machine learning and artificial intelligence - introduce scenarios where copyright-protected materials may be accessed and processed. However, there must be no commercial harm for the copyright owner and, therefore, the use of the copyright-protected materials should qualify as 'fair use' and the copyright owners should not be able to object or to demand payment of licence fees, he explains. He points out that tech companies have lobbied quite hard in SA for the government, while updating the Copyright Act, to also introduce a US-styled fair use provision. In SA, Hollis says, it is recommended the country adopts a similar approach as in the UK, EU, Australia and Canada by including new provisions in the fair dealing clause which allows for new and defined technological uses that should not require licences from copyright owners. "This is opposed to introducing an open ended 'fair use' provision which could disturb the balance between the rights of creatives and content owners to control the commercial use of their copyright protected works and those who wish to access, distribute and use those works. "In the UK, EU, Australia and Canada, he adds, it was found by independent government-commissioned committees that the economic benefits of open ended fair use systems have been largely overstated and it is preferred to maintain legal certainty by improving on existing exceptions to copyright infringement and fair dealing provisions."